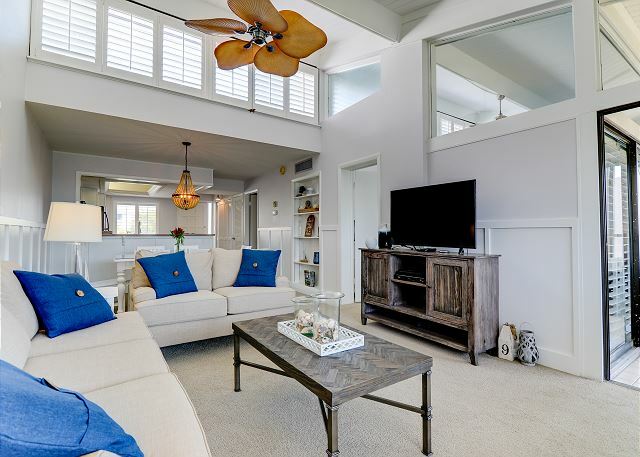 Loggerhead Cay #403: Bright & Beautifully Updated EastEnd Condo on the Beach! 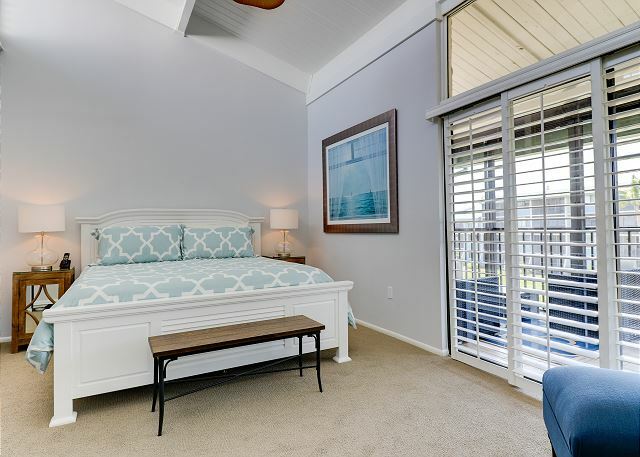 Come check out this newly updated and freshly furnished 2 bedroom beauty, Loggerhead Cay #403, located within just a few steps to the sandy beaches and the Gulf of Mexico! One step through the door you'll be in beachside heaven! 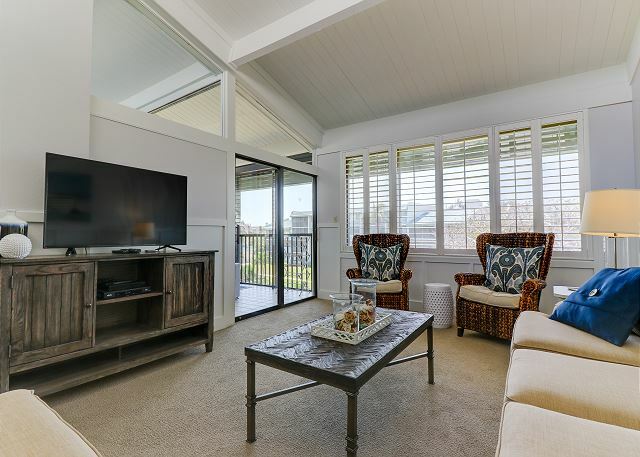 This unique top floor, corner end unit boasts vaulted, beamed ceilings and tons of natural light! 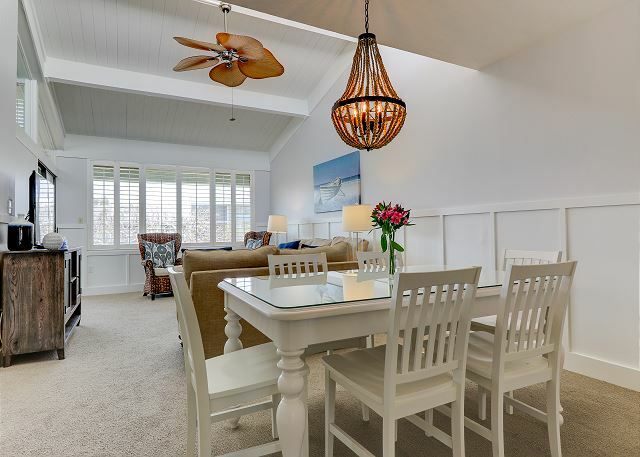 Recently updated with all brand new carpets & wood flooring, fresh paint throughout, renovated kitchen and guest bathroom, and furnished to perfection with a calming beach style twist. 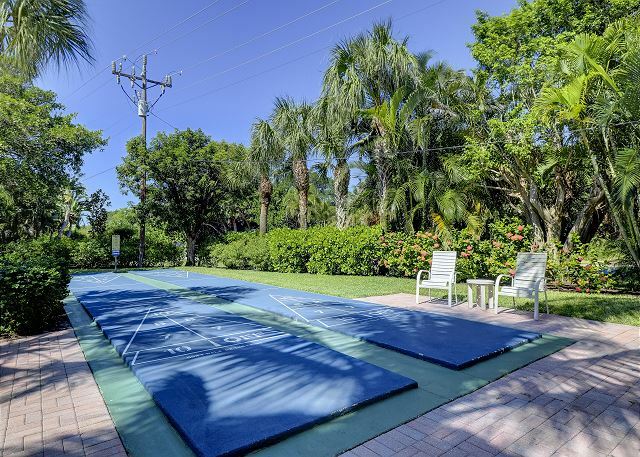 Location can't be beat with easy access on and off island great for avoiding in-season traffic and even better for being close to the miles of island wide bike paths close to many shopping, restaurants, and public beaches! 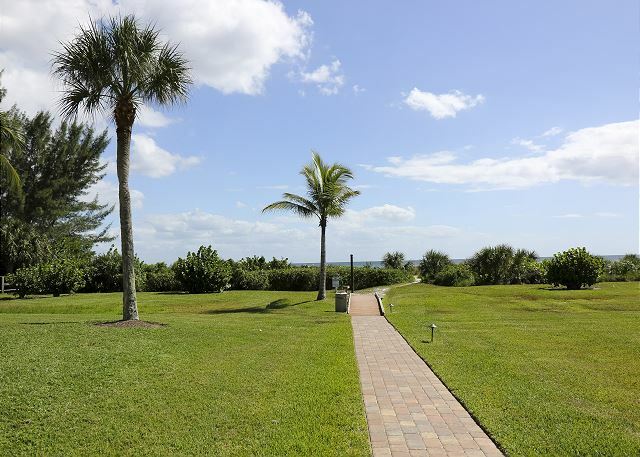 Don't miss your little slice of Sanibel paradise! Condo amenities include: 2 bedrooms/2 bathrooms -- 1 King bed, 2 twin beds, and a pull-out sleeper sofa (sleeps 6), 3 TVs & DVD player, free WIFI & cable, fully equipped kitchen, heated shared pool, in suite washer & dryer, public BBQ gas grills, shuffleboard, community tennis courts, elevator access. Bed linens and Bath towels included. No Pets allowed. This unit comes stocked with beach chairs, beach towels and an umbrella. 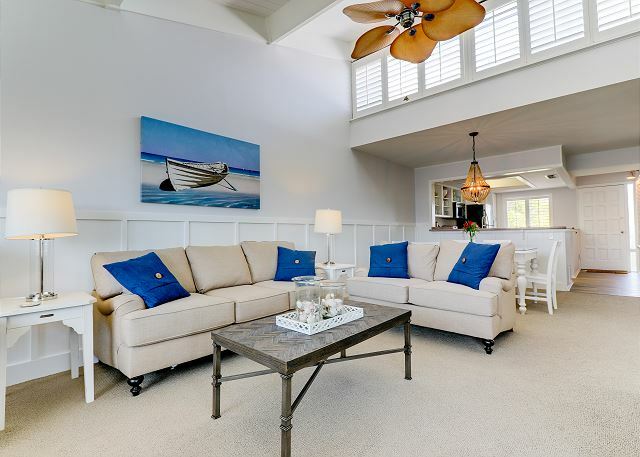 Guest Reviews of loggerhead cay #403: bright & beautifully updated eastend condo on the beach! The unit was recently renovated and in great condition. The grounds and pool are immaculately maintained. Pool temperature was ideal. This unit worked OK for six people (three generations), but was a little cozy at times. For four people it would be ideal. Thank you so much for your review! It was a pleasure meeting you at check-in and we are so happy to hear you enjoyed your stay at Loggerhead Cay 403! 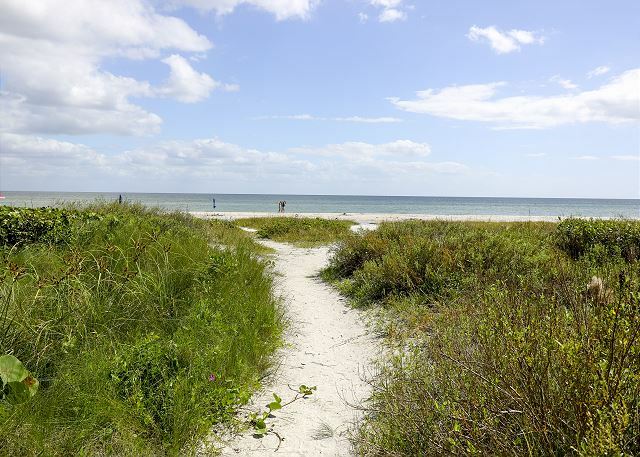 We hope to help you plan a trip to Sanibel again in the future! We were very pleased. This was our 2nd year in this nicely updated Condo and recommend it and SBL for their assistance. We are pretty particular about the quality of rentals we choose. 403 met all expectations. 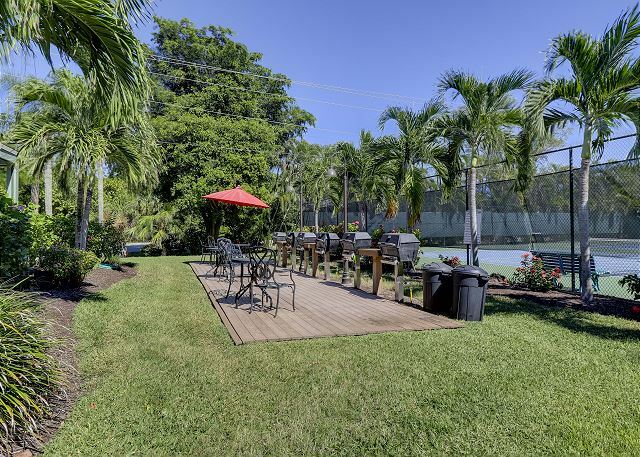 It was a nice community with beautiful pool, easy direct beach access, tennis courts and WORKING grills!SBL delivered brand new bikes right to our door and offered easy check in and check out. Very happy with this rental. 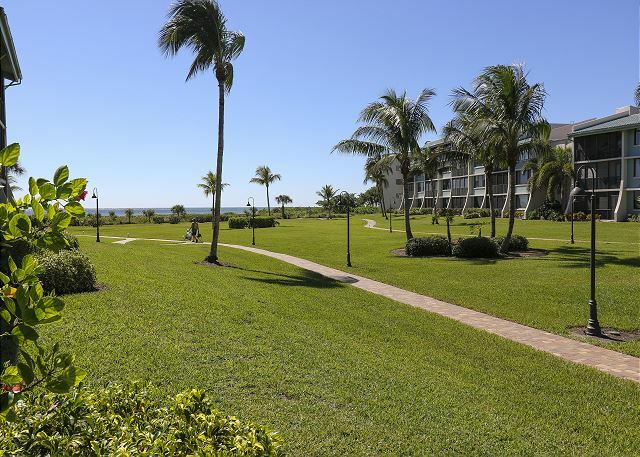 Thank you so much for your review of Loggerhead Cay 403! We are so glad you enjoyed your second stay in this condo. 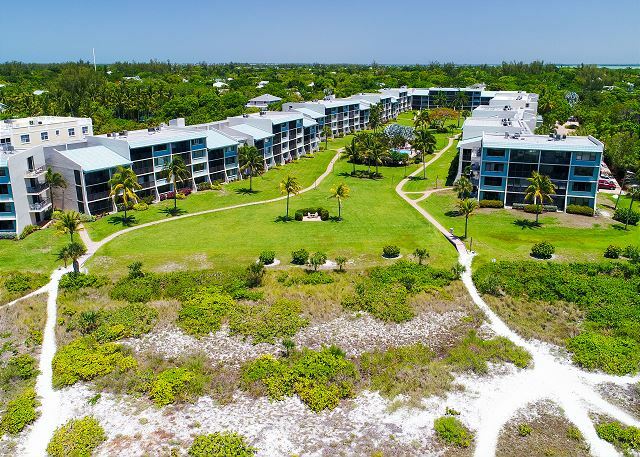 It is a pleasure having you and we can help again when planning another trip to Sanibel! Review by Mary Beth B. Our rental experience was easy, quick and convenient. We reserved this unit on-line which was very convenient. I choose this unit because of the way it was decorated. 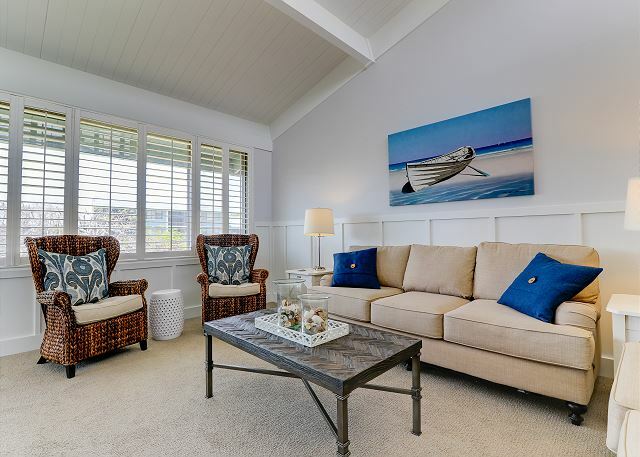 We usually prefer a ocean front unit, but because of the way it was decorated we decided to rent this unit. When we arrived on Sanibel Island we went to the property management office to pick up the key and other rental information. At that time, we were able to rent bikes for the week. The bikes were delivered to our unit which was extremely convenient. On our second day, I noticed the unit did not have a hair dryer (the unit was supposed to have one). I called the property management company and they delivered one to me within 15 minutes. WOW now that is service.The only item that was a bit inconvenient was the fact that the condo below us was getting work done in it and there was a lot of hammering and banging.We loved Sanibel Island the fact that we could ride our bikes everywhere, which we did!! 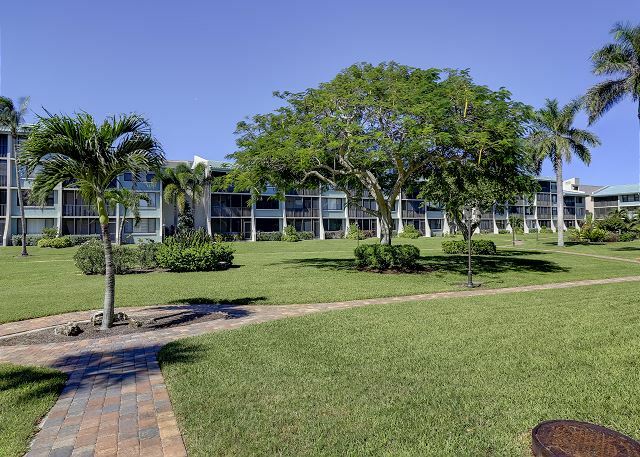 Thank you so much for this great review of Loggerhead Cay 403! We are so happy you enjoyed your vacation with us. I am so truly sorry about the work that was ongoing there. We hope that when planning your next trip, you will give us a call! We are happy to help. Really easy rental process. No problems with our stay and just seconds from enjoying your beach vacation. Such a wonderful relaxing trip. Thank you so much for your review! We are so happy you enjoyed your stay at Loggerhead Cay 403! We hope you will join us on Sanibel in the future! Our time in Loggerhead Cay was absolutely amazing. 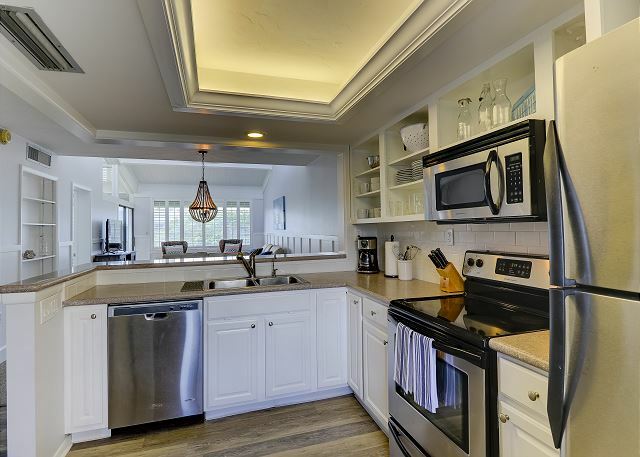 The property was wonderfully appointed with any kitchen item you may want. 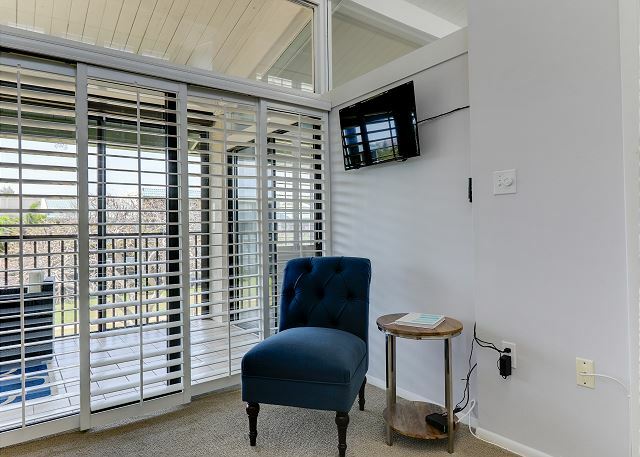 The living area is comfortable for everyone in our group and the Master bedroom was large and comfortable; the second bedroom was warm and could use an overhead fan to circulate the cool air.Overall, we had a wonderful time and the time spent there was wonderful! Thank you for your review! We are so happy you enjoyed your stay! We hope you will join us again in the future! The property was great! Clean, spacious, conveniently located. Would certainly recommend to others and would stay here again. Spent our days lounging on the beach and enjoyed several great restaurants. Customer service was very prompt with a very small issue we had. Overall great experience! Thank you so much for your review! We are so glad you enjoyed your stay! 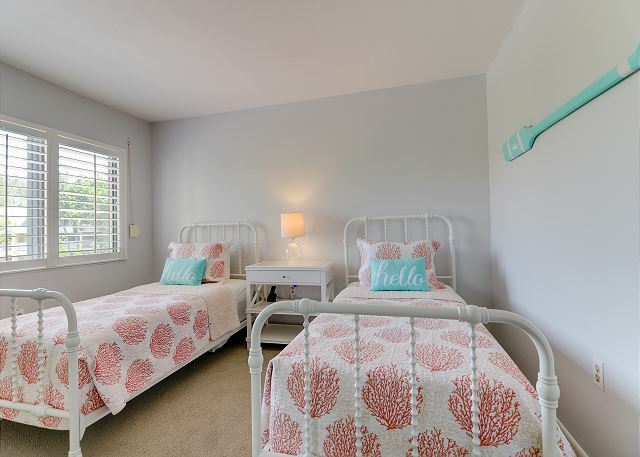 We hope you will visit us again on Sanibel! Lovely condo - great trip! The condo is lovely, very bright and airy. The high ceilings and windows really add to it. We had a wonderful visit - the app was really helpful, the condo was nicely decorated, very comfortable, and well-stocked. The location is wonderful. We would love to come back! Thank you so much for your feedback! We are so glad you enjoyed your stay. We hope we can help you plan your next vacation when it is time! Sanibel Vacations was great to work with. Seamless check-in and check-out. Condo was spectacular! Very clean, updated, great location - couldn't have asked for more! Wonderful spring break! Thank you so much for your review! We are so happy you enjoyed your vacation! We hope to see you again in the future! We loved our 2 month stay at this lovely and very comfortable condo on Sanibel Island. It was beautifully appointed and we wanted for nothing. The management company knocked themselves out to make us happy, as did the owners. If you are looking for an updated, sunny and comfortable condo on the beach, grab this one before it's too late. Thank you so much for your review! We enjoyed having you as guests!!! Hope you all had safe travels. See you again in the future! 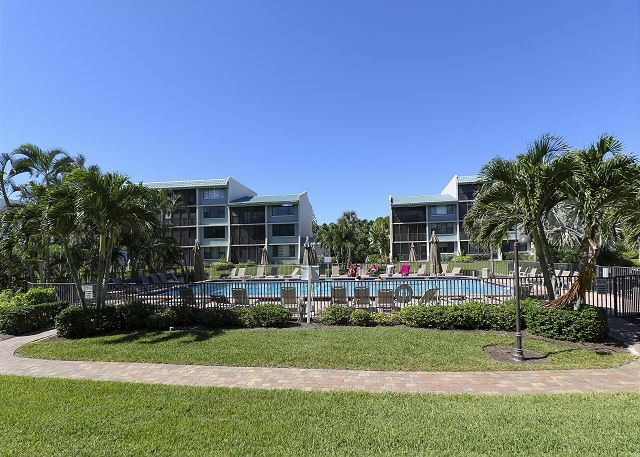 Loggerhead Cay #403 is a clean comfortable condo on the beach. 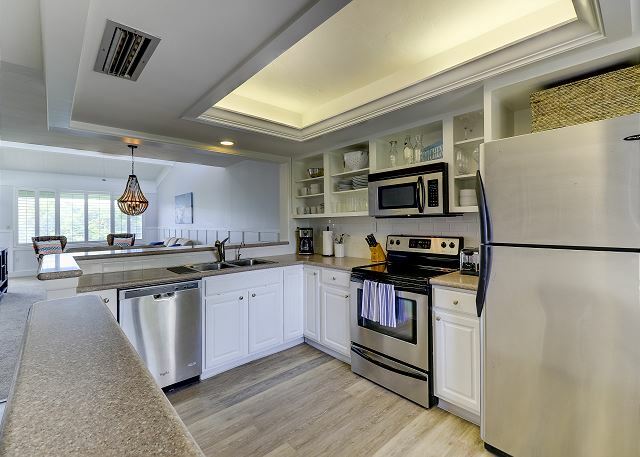 Well equiped with everything you need for a wonderful time on beautiful Sanibel Island. 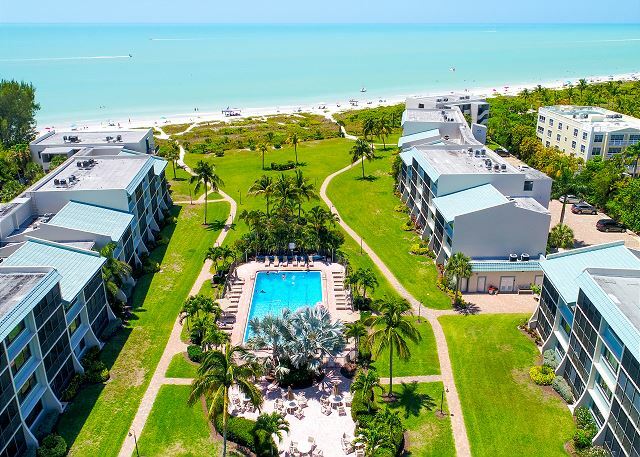 Sanibel Vacations makes it easy and convenient from reservations to check-in and check-out. Highly recommended! Thank you so much for your review! We are so glad to hear that you enjoyed your vacation with us. We hope to have you with us again on Sanibel Island! Showers need updating; one broke on our firstday there. Need the showers up to the same standard as the restof the bathroom. Thank you for staying with us. We appreciate your business. Beautiful accomodations, super weather, good food. What else does one need? We are so very glad a wonderful time! See you again soon! This property is fantastic! 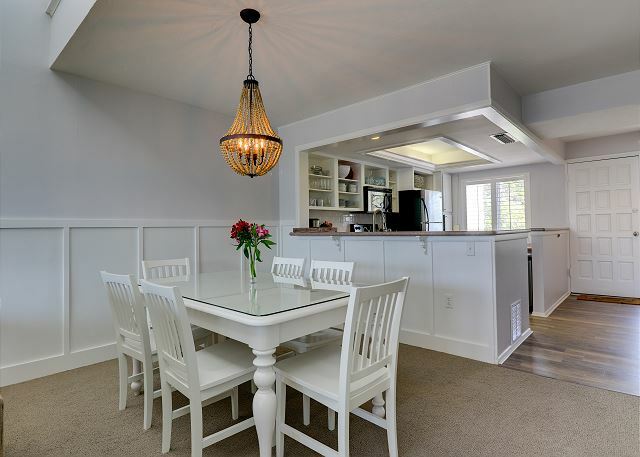 Newly renovated, it is clean and comfortable and feels like you're in your own home. Booking, check in and check out were a breeze and the rental agency was incredibly accommodating and helpful. The condo complex is quiet and provides easy access to the beach. 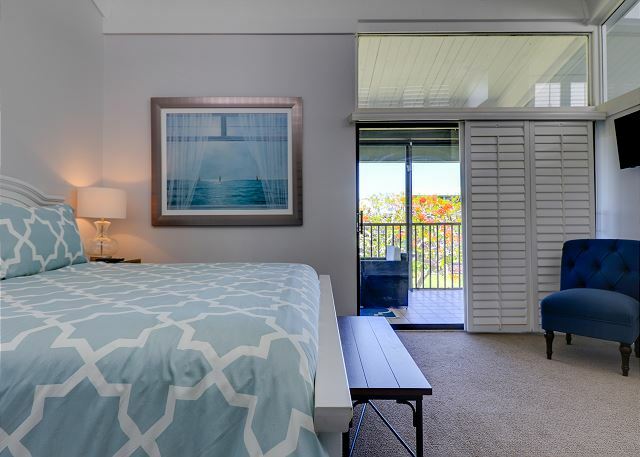 The unit was equipped with all the necessities and was in an ideal location to enjoy the beach, pool, or relaxing on the lanai. We will definitely be back! Oh my goodness, thank you so much! What an incredible review and thank you for sharing! We are thrilled with how great your experience was with this awesome condo and also with us. We can't wait to see you again!! Spring Break trip with 2 adults and 2 teenagers. The place worked great, bed 2 and bath can be closed off to be separate suite and master bed is huge with great natural light. Furnishings are tastefully done and new which gives you a good clean feeling. 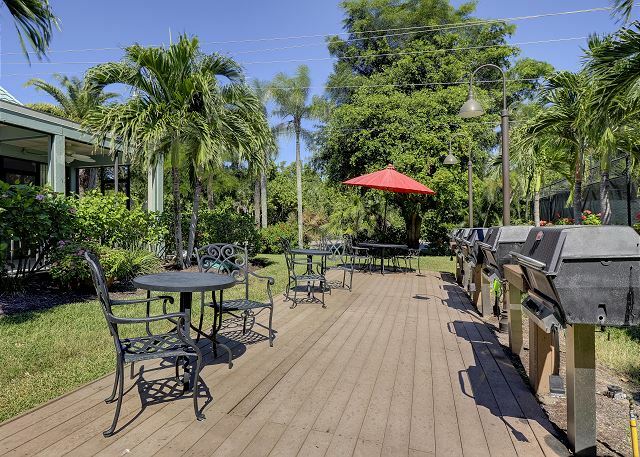 Access to beach, pool and gas grills is great so really no complaints. We are so glad that you stayed with us and had a great time! We will see you next year! 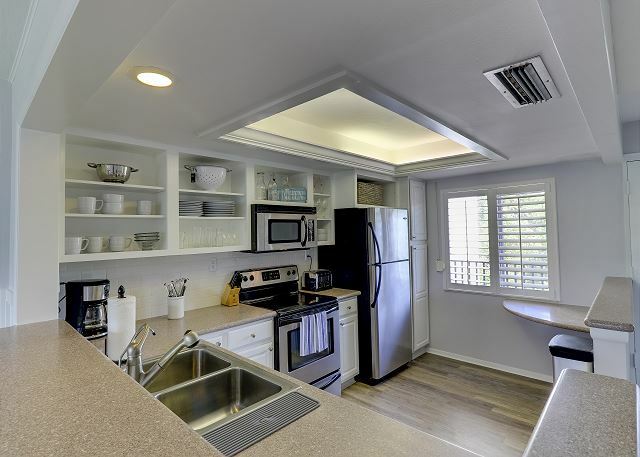 Beautiful condo, one of the best places we've ever stayed on Sanibel! We are so glad you stayed with us! We look forward to next year!